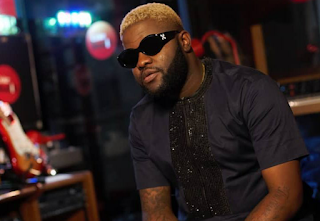 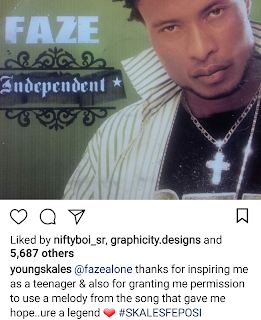 Home / ENewz / Skales Reveals That Singer Faze Gave Him The Permission To Use His Melody In His New Song, "Feposi"
Skales Reveals That Singer Faze Gave Him The Permission To Use His Melody In His New Song, "Feposi"
Skales who just released his first single of the year titled, "Feposi" has given credit to singer, Faze for inspiring him when he was a teenager with his nice melody. Skales sampled melody from Faze's "Kpokpodikpo" to create "Feposi". It is a nice tune.